There were 707 press releases posted in the last 24 hours and 154,061 in the last 365 days. /EIN News/ -- BANGOR, MAINE, April 17, 2019 (GLOBE NEWSWIRE) -- Consider for a moment the challenges a team faces when designing a set for a theatrical production or a large concert. For years, these professionals have relied on drawings, scale models and 3-D visualizations to help them convey their vision to the director, production team, cast and crew. The one thing they could not do however, was provide this creative team with the experience of being immersed in the full-scale scenery until the set was built. Today, that’s all changed. 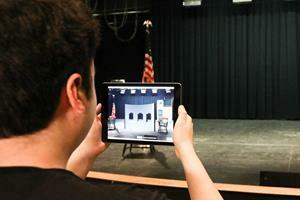 Thanks to advancements in augmented reality (AR), Husson University’s integrated technology department has begun development of an app for iPhones and iPads called AR Stagecraft, which leverages Apple’s ARKit to give users an immersive AR experience on an empty stage. Students in Husson’s entertainment production program are currently designing theater sets in a computer aided drafting (CAD) class, which will be imported into the AR Stagecraft app and provide users the experience of walking through a set on stage before construction ever begins. Once completed, the new IEX Center will serve as a hub for projects related to immersive and interactive technology through a system of collaboration between students, faculty, staff, and outside partners. The interactive and immersive education that will take place in this Center will teach students how to solve real-world problems using the advanced technology associated with this emerging field. 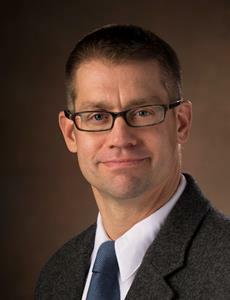 The public is invited to attend a presentation that will focus on the mission of the IEX Center and demonstrate the AR Stagecraft app at Husson University’s Gracie Theatre on April 30, 2019 at 1:30 p.m.Large television screens will help the audience understand what the AR experience is like. Following the demonstration, the audience will be able to ask questions of College of Business and New England School of Communications faculty members involved in the project. At the conclusion of the question and answer session, members of the public will have the opportunity use iPads in the Gracie Theatre to visualize the designs, which Husson students have developed in their CAD course. As Husson moves forward with the development of new AR and VR programs, the University will be investing in new technology to support these advanced course offerings. Job opportunities for college graduates with knowledge of virtual and augmented reality continue to grow. The job search website Indeed.com noticed a significant uptick in job postings for virtual reality (VR) specialists. In 2014, there were only two virtual reality job postings per 1 million job ads.1 Two years later, there were 18 job posting for every million jobs - an increase of about 800%.2 Among job seekers, there was only one VR job search per million in 2014.3 By 2016, there was an average of 19 VR job searches per million - an increase of 1,800%.It’s anticipated that careers in this discipline will offer above average compensation. According to Glassdoor.com, the average base pay for augmented reality/software development professionals is $80,018 per year.5 AR and VR professionals can reasonably anticipate a comparable return on their educational investment. Professors from Husson University’s integrated technology degree were an important part of the app development team. The degree is one of the state’s leading educational programs in computer information systems, software development, web design and development. It’s designed to provide students with the skills they need to help organizations achieve business goals by creating computer information systems and new software. The program is also a great platform for students interested in pursuing a career in web design and development. To learn more about the program visit https://www.husson.edu/college-of-business/school-of-hospitality-sport-and-tourism-management/integrated-technology/. Joining this integrated technology app development project were students from Husson University’s entertainment production degree program. They helped provide valuable insight into the visualization component by providing a three dimensional scale representation of theater and concert stages. The entertainment production program at Husson University’s New England School of Communications is designed to help students prepare for career opportunities in the entertainment industry. There are two concentrations. The first is in theater production. It gives students a well-rounded education with an emphasis on the technical skills necessary to work on professional theatrical productions. The second is in audio/visual engineering. This concentration focuses on the principles, technology and maintenance of audio and video equipment used in the live entertainment industry – including audio and video projection. To learn more about these degrees at Husson University visit https://www.husson.edu/nescom/entertainment-production. Thanks to advancements in augmented reality (AR), Husson University’s integrated technology department has begun development of an app for iPhones and iPads called AR Stagecraft, which leverages Apple’s ARKit to give users an immersive AR experience on an empty stage. Students in Husson’s entertainment production program are currently designing theater sets in a computer aided drafting (CAD) class, which will be imported into the AR Stagecraft app and provide users the experience of walking through a set on stage before construction ever begins. 5 “Augmented Reality/Software Development Salaries,” Glassdoor.com, https://www.glassdoor.com/Salaries/augmented-reality-software-developer-salary-SRCH_KO0,36.htm, As of April 1, 2019.